Getting married is a stressful time. After the initial excitement of the engagement wears off, the never ending to do list begins! Planning a wedding can be so much fun, but because there is so much work that goes into the planning process it can a bit overwhelming. A good friend of mine recently got engaged and due to both her and her fiance’s hectic schedules, they’ve barely gotten the chance to see each other let alone enjoy their engagement. I remember one of the things I was most excited about with getting married was getting a new last name. Some women are against the idea, but I was so excited for a last name that was easier to spell! 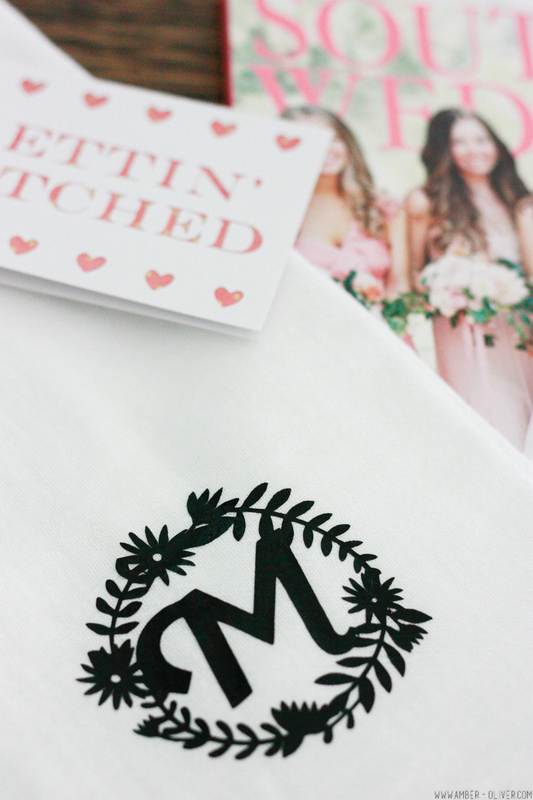 Getting new monogrammed items brought me a lot of joy, so I made a DIY monogrammed tea towel for my newly engaged friend to serve as a little reminder to enjoy this time and to get her excited about the upcoming nuptials! 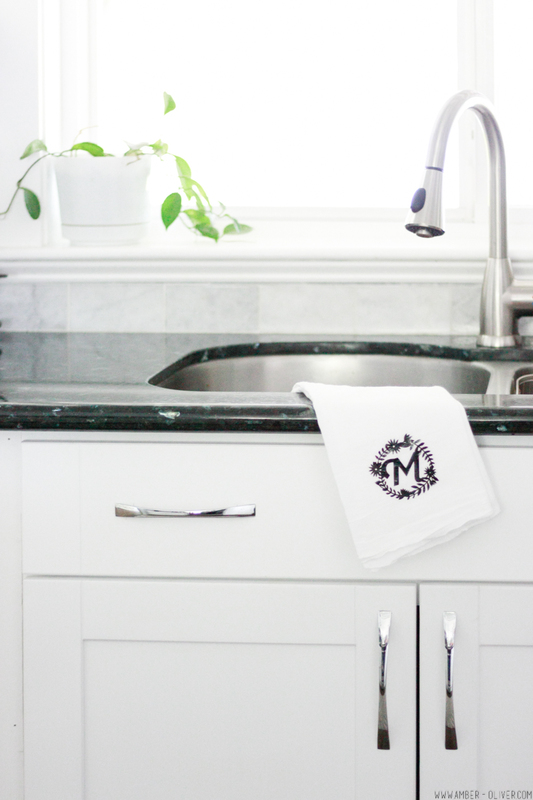 You can get inexpensive, white tea towels from Amazon and customize them any way you like! 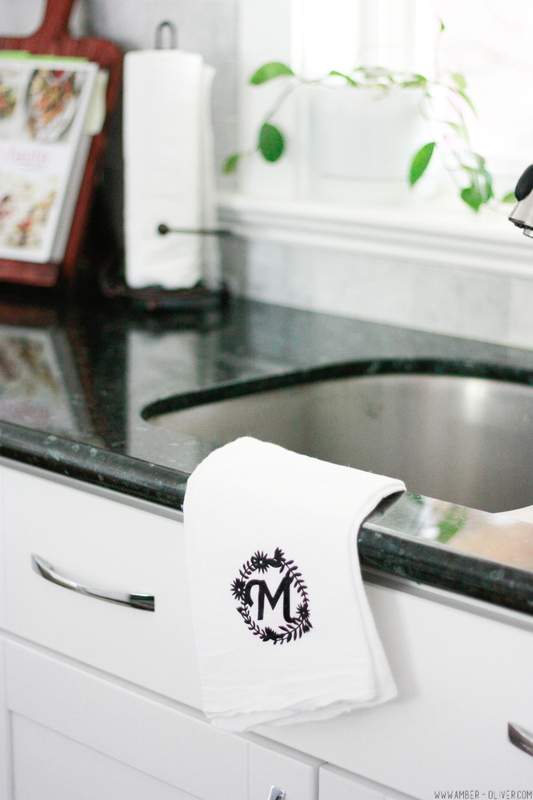 For this project, I used my Cricut to cut out a cute design and applied it to the tea towel with heat transfer vinyl. 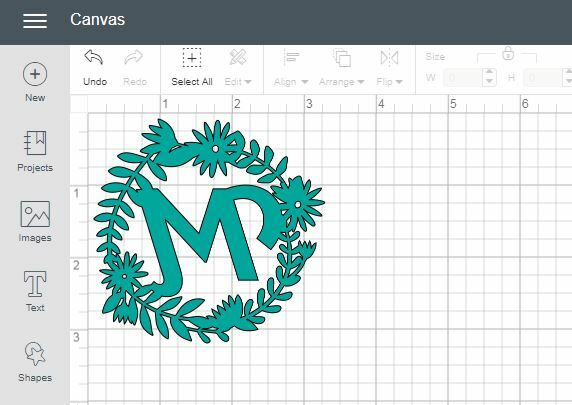 I used the “M Floral Monogram – #M53AF7B” which is free in Cricut Design Space with Cricut Access. Simply select your initial, don’t forget to mirror the design for heat transfer vinyl, then cut with your Cricut. 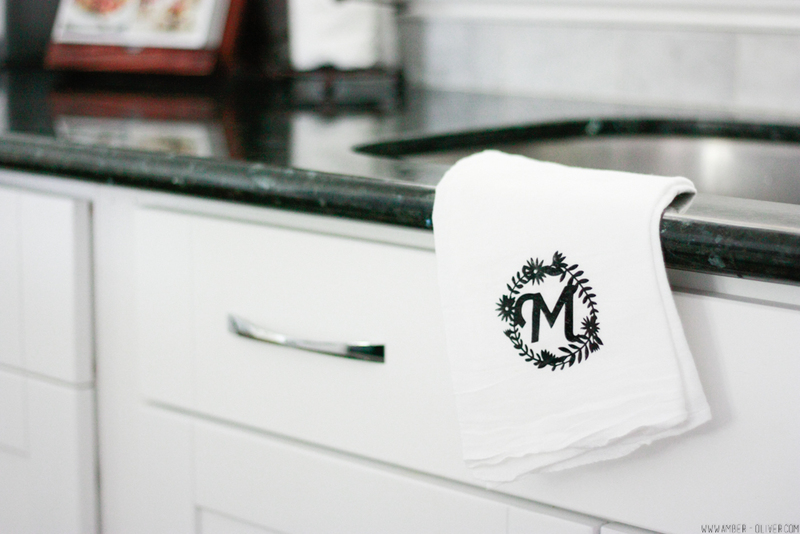 Apply the design to your tea towel and adhere with an iron. If you need a quick and easy gift idea, you’ll want to pin this post for later! 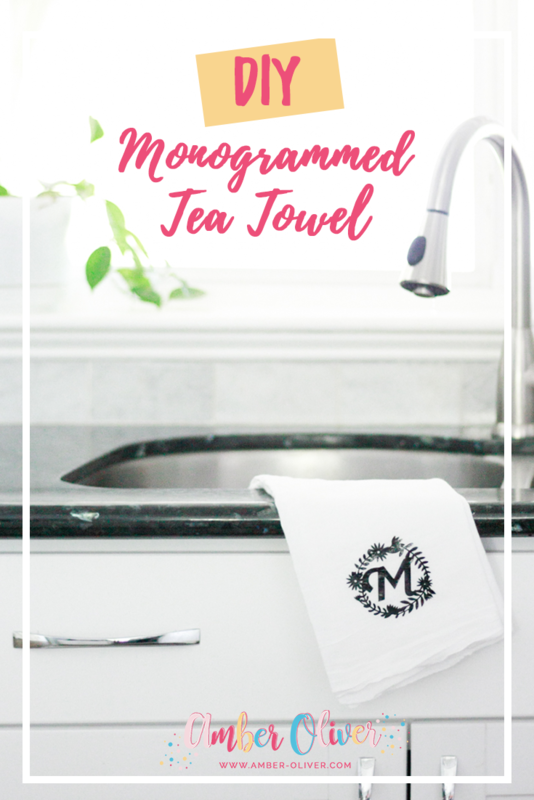 You can give a DIY monogrammed tea towel as an engagement or wedding shower gift or whip one up if you need a hostess present or custom birthday gift for someone.